Google is making Image Search much more intuitive and convenient to navigate through. 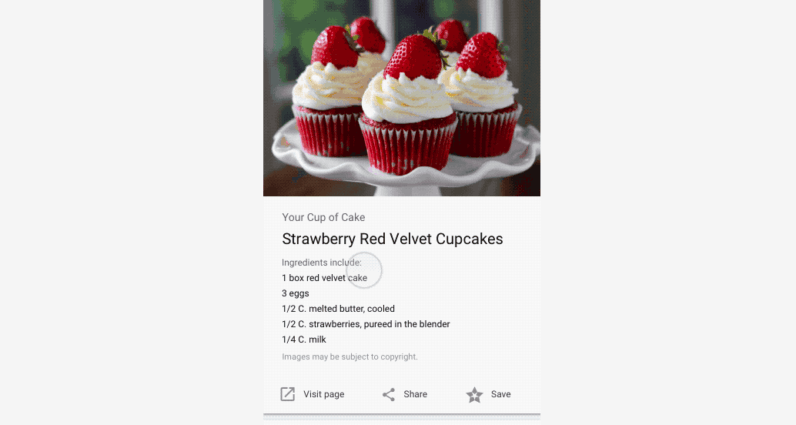 The internet giant announced it is rolling out an update that adds designated badges at the bottom of each image it shows in search. Badges will indicate what further information you can find if you click on an image. The Big G says there are currently at least several different badge categories, including recipes, products, videos and GIFs. You will spot these labels at the bottom left corner of each image. One thing we have to mention is that you won’t be able to use Badges in your browser just yet. For now Google has limited the update solely to mobile web and the Google app for Android. There is no telling when or whether Badges will roll out more widely.